Looking to buy a wearable for adorn your wrist with? 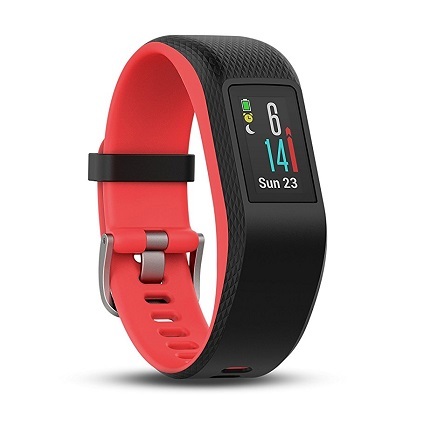 The first question that comes to mind is whether you should get a smartwatch or a fitness tracker? Well, the answer depends on what you expect the device to do. A smartwatch makes it easier to respond to emails, texts, and calls and see social media notifications. On the other hand, fitness trackers have traditionally focused on health and activity monitoring, such as how many steps you’ve taken during the day. But in 2018, the line diving smartwatches and fitness trackers has blurred considerably. Today you can buy a fitness tracker that delivers notifications to your wrist or a smartwatch that can measure your heart rate. However, if you’re looking for something that looks more like a bracelet than a watch, then you’ll probably have to go with a fitness tracker. Another here’s another major advantage to consider for those pondering the dilemma: fitness trackers are a lot more affordable than smartwatches. For the purpose of this article, we gathered up some of the best fitness trackers available on the market today. The products you’re going to find in this list offer advanced fitness tracking capabilities, but also borrow some smartwatch capabilities. The Samsung Gear Fit 2 Pro benefits from a great design which looks great on the wearer’s wrist. 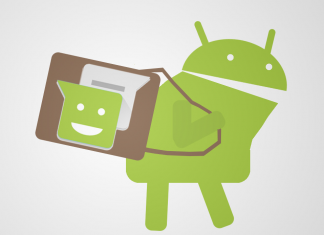 It comes with a 1.5-inch AMOLED display which allows users to see their stats clearly. It includes a GPS and a heart rate sensor and can be used to track your swimming sessions too (yes, it’s waterproof!) The Fit 2 Pro also emulates a smartwatch in a number of areas. For example, it shows notifications (in a dedicated area on the left of the watch face) and allows users to interact with them (reply to a text message). Other highlights include a decent battery life (up to three days) and offline Spotify support. 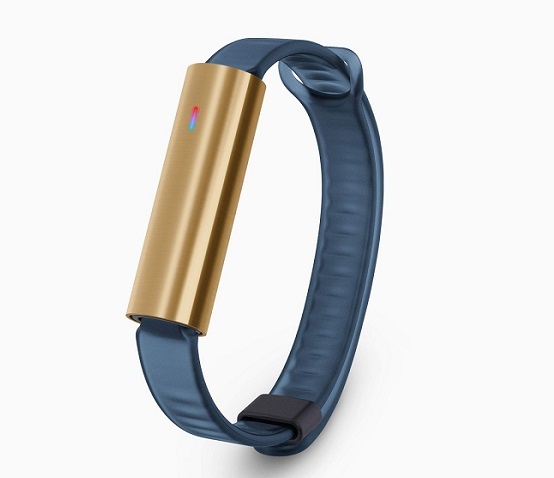 Can’t have a list of fitness trackers without mentioning Fitbit, can we? The Charge 2 includes a sleek display for at a glance information and can connect with the GPS on your phone (no GPS on board). 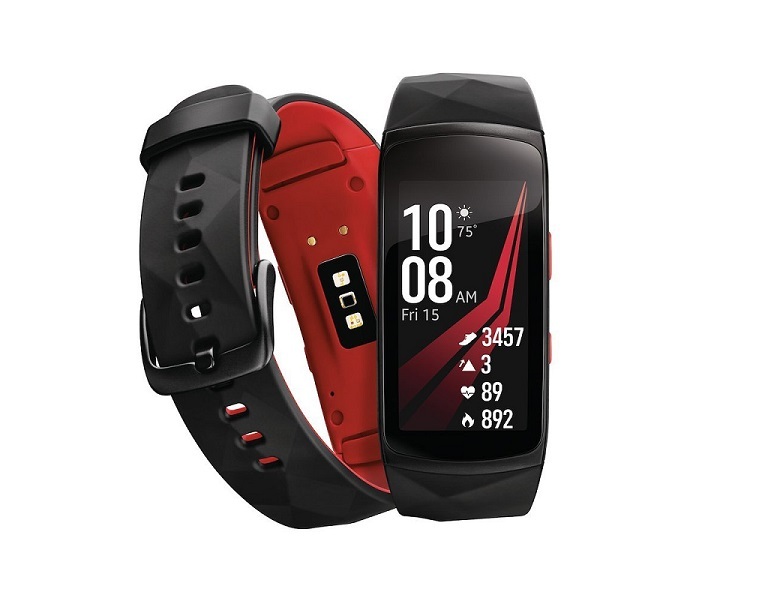 It includes a heart rate tracker, but unlike the Gear Fit 2 Pro it’s not waterproof and offers limited notifications. Although its battery is rated as being able to last up to 4-5 days. 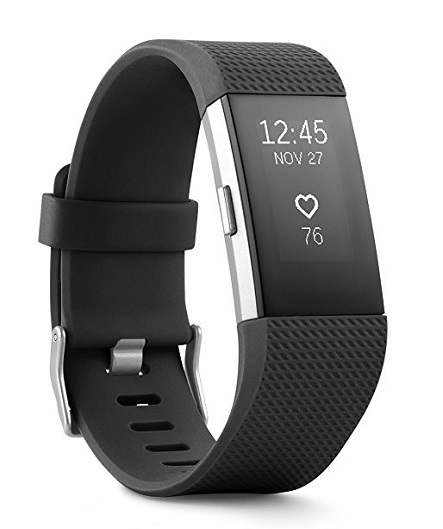 The Fitbit Charge 2 is the best in the category for sleep tracking. It offers in-depth information on Sleep Stages, as well as Sleep Insights so you can improve your sleep patterns. Looking for a fitness tracker which can also store your music? Then look no further than the TomTom Spark 3. The best part here is that you can leave your phone at home, yet you’ll still be able to listen to your favorite tracks while you run. Just pair your Bluetooth headphones and you’ll be good to go. 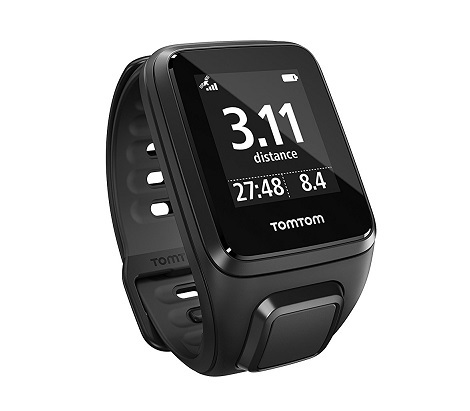 Furthermore, the TomTom Spark 3 offers GPS tracking, a heart rate monitor and route navigation. These features make it particularly useful for runners. The fitness tracker also includes a display, but it’s a monochrome one. Perhaps one of its best features, the Spark 3 should be able to last up to two weeks on a single charge. Despite not sporting a pretty standard design, the Garmin Vivosport includes a color display, GPS and is also water resistant. 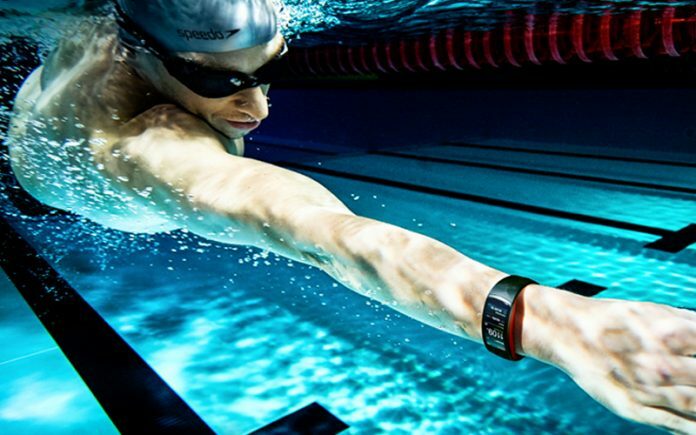 Even so, the wearable does not track swimming sessions like the Samsung Gear Fit 2 Pro. On the bright side, the Vivosport is great for tracking other kinds of workouts such as jogging or cycling. The product also includes an all-day stress tracking tool which helps you monitor your body’s response to various stressors. The battery powering Garmin’s fitness tracker is said to be able to provide a battery life of up to 7 days. The smart tracker also relays smartphone notifications to your wrist. Want a fitness tracker that looks a bit more atypical? Then you might want to try the Misfit Ray. It consists of a sleek metal tube and a strap. The former can be worn as an accessory on a chain or around the neck if you prefer. Used in league with the smartphone app, the kooky wearable can track distance traveled, steps and sleep cycles. The product is waterproof and can vibrate to alert you of incoming calls, texts, and notifications. A colored LED shows your progress throughout the day. The Misfit Ray is powered by non-charging, replaceable batteries that can last up to 4 months of use. Probably the most affordable fitness tracker on this list, the Moov Now is a wearable without a display. Yet, the Moov Now can provide real-time audio coaching for different workouts including running, cycling, cardio boxing or body weight. Being waterproof, users can wear the device when they are swimming or cycling in the rain. The product features a lightweight and breathable band. You can either wear the Moov Nov on your wrist or around your ankle while you train. 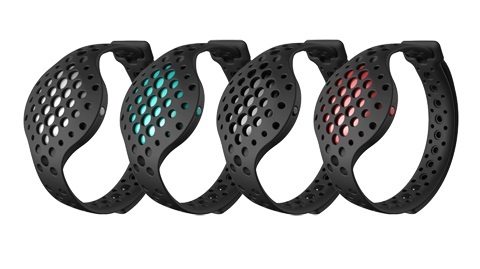 So which of the above fitness trackers appear to you the most? Let us known what you look for in a wearable from this category in the comment section below.